Hey loves! So you know that dreaded time of the day when you say to yourself, "What should we have for dinner?" Yeah I do not like that question or the feeling I get when I ask that question. I am a HUGE planner. So this question stresses me out. I try and avoid it at all costs and plan it out. Some of you might find this crazy, but I plan my menu out for a whole month. And so on. I do the same thing for lunches. Wednesday-Meatless- I do something different every week, but I usually involve a rice dish, spaghetti without meat, fish, and breakfast. This makes it simple to plan a month out. I also go shopping for two weeks at a time. I try and get everything that I can get except some of the stuff that might go bad within 2 weeks like fresh produce or milk. I do not love grocery shopping so this way I only have to do it twice a month. It works for me. If it seems like it could work for you give it a try. You might like it! This might seem really taxing, but I promise it pays off in the long run. You will not regret it. If a month seems too much then plan two weeks out. 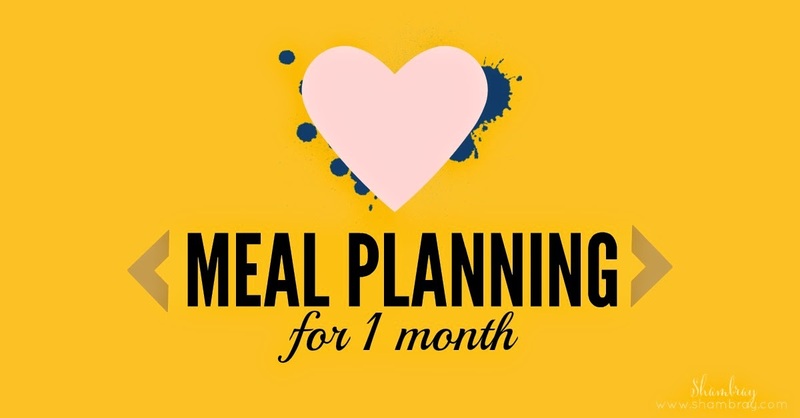 If you have never done a meal plan in your life then maybe start with a week and work your way up. I love it! I absolutely love meal planning ahead. 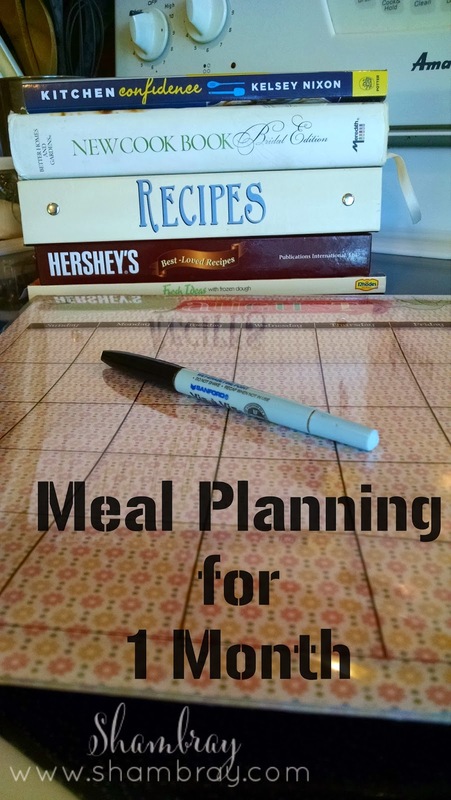 I have written done favorite recipes or ones we want to try onto small post it tabs and placed them into a binder on sheet protectors. They are divided into categories. Ex: breakfast, poultry, beef, meatless etc. Then I just print out my monthly calendar with activities printed on it. Ex: work schedule, daughters schedule, extra curricular activities etc. This way I know whether I want crock pot, freezer meal or a meal I have time to make from scratch. It works wonderful. I completely agree that looking at the day's activities should help decide what you will be making. You sound so organized!